Standing Fierce is proud to bring back everyone's favourite Christchurch Major. Redzone Rumble 3, the third round throwdown. Taking a break in 2018 to make way for Garden of Might, we'll make sure to exceed your expectation in 2019! With a new venue located outside the CBD, you'll find your stay this time around surrounded by rolling hills and lucious green landscapes. 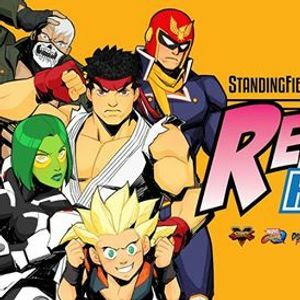 We're putting on tournaments for the latest fighting games including, Tekken 7, Street Fighter V, Super Smash Bros. Ultimate, Dragon Ball FighterZ, Marvel vs Capcom: Infinite, The King of Fighters XIV, Soulcalibur VI and Super Smash Bros. Melee. Rows of casual setups will be available to keep you busy while your waiting to play your matches! Come see why the New Zealand Fighting Game Community is regarded so highly within gaming circles. Don't see a tournament for your favourite game? No worries, join in the conversation on one of our social media platforms and organize a tournament with other passionate people within the community! 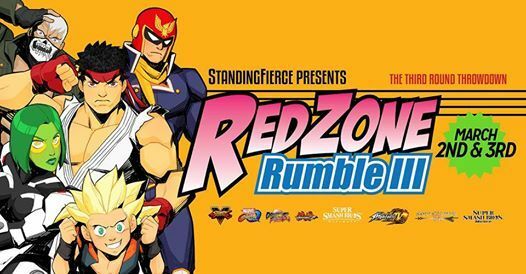 Grab your calendar and set aside March 2 & 3 and start practising for Redzone Rumble 3! All ages and skill levels are welcome, there no better way to get involved than by turning upto to your first major event!